at Mundo de Adeveras, Sponsored by Dos Equis. 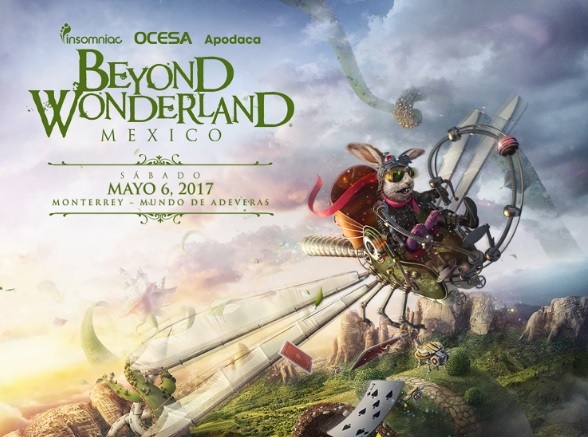 Today, Insomniac, revealed the fan-favorite Beyond Wonderland festival will travel to Mexico for the first time on Saturday, May 6, 2017. 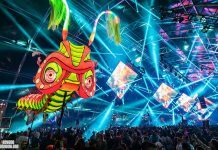 Making its international debut at the tremendous Mundo de Adeveras in Monterrey, Beyond Wonderland will bring thousands of fans the whimsical environment and spectacular production that it is widely praised for in North America. 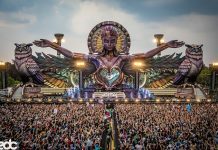 Presented by the producers behind Mexico’s largest dance music festival in history – EDC Mexico – and the promoters behind Monterrey’s most successful festival – Pa´l Norte – the inaugural Wonderland affair will showcase impressive global talent across three stunning stages, engaging art installations, lively costumed performers, and plenty of surprises. 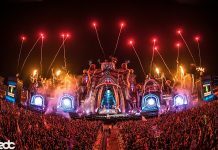 Since Beyond Wonderland was introduced in 2010, it has captivated over 400,000 fans at memorable gatherings in San Bernardino, Mountain View, and Seattle. Insomniac will continue Alice’s curious story through Wonderland as she journeys to Mexico with new friends and fantastical sights and sounds. Previously an amusement park venue, the vast outdoor landscape of Mundo de Adeveras will allow Headliners to explore endless colorful characters, iconic Art Cars, and unforgettable performances inside the realm of Beyond. Stay tuned for the full lineup, official website, and more exciting details coming soon. Tickets for the highly anticipated event will go on sale Friday, February 17 at 9 AM PT., here.